Free On-The-Spot Quotes year round. Call today and start the Spring off right with a new driveway. Why Paul G. Smith Paving? Responsive: Rapid on-site consultation with on-the-spot quote followed up by detailed written quote. No sales pitch and no obligation. Rapid: We schedule jobs based on permits, weather, workload, and your schedule. We’re local so we don’t schedule based on “when are trucks are in your area”. We are always in your area. Compliant: We obtain the necessary permits and contact Dig-Safe as required by law. Preparation: We remove rocks, roots, heaves and replace previous unstable base material with a gravel mix to ensure maximum stability. Multiple Coats: We apply a base binder coat followed by a top coat. 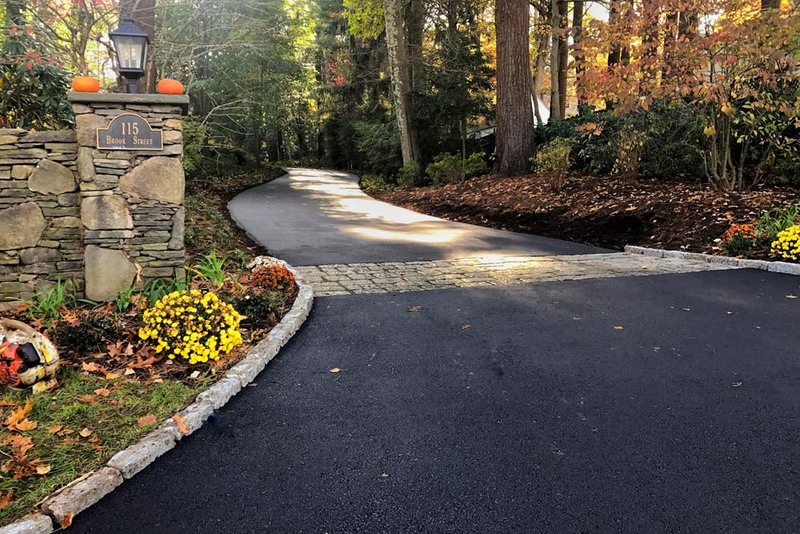 Best Material: We use certified Mass DOT State Road Mix for binder and top coat which has more liquid asphalt for more strength. Equipment: We use new state-of- the art paving machines, including 2-ton vibrating finishing rollers. Thickness: We specify thicknesses after compaction, not before. People: Our paving teams are staffed by long-term experienced employees who are fully insured. We do not use “day labor” or sub contractors. We’re Local: Our customers are our neighbors. We do not travel great distances to batch driveways that cause inconvenience and delays to homeowners. By staying local, we can offer the best customer service. Reputation: We stand by our work and have grown through referrals. As a fully equipped paving and excavation contractor, we specialize in solving water and drainage problems. Our solutions include major or minor regrading, installation of catch basins, drywells, trench drains, or drainage swales. If you are frustrated with standing water on your driveway, washouts, puddles that turn to ice in the winter, or just tired of having a moat around your castle every time it rains, give us a call. Your driveway is the first impression visitors have of your home and should be welcoming experience. We install decorative cobblestone borders, bands and granite curbing. See our gallery to view some of our work. 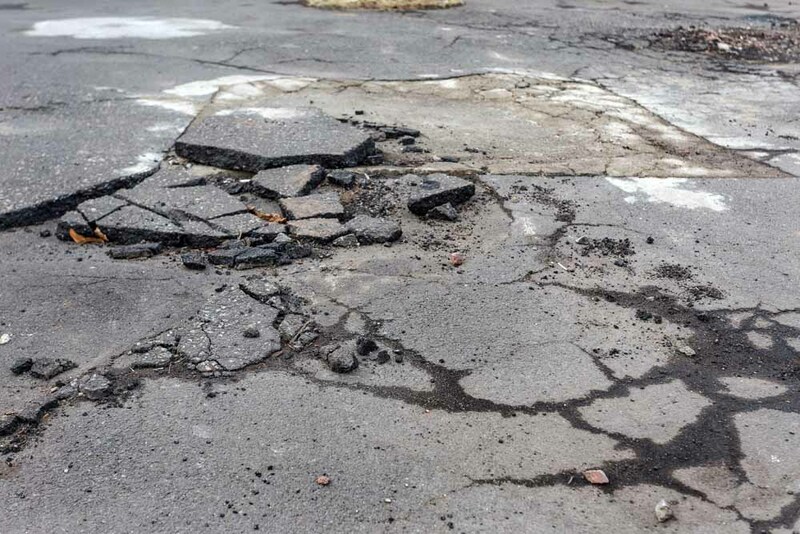 Question: What are the best months to pave a driveway or parking lot in the metro-west area? Answer: Depending on the weather and the specific site, we generally start paving in April, and end in November. 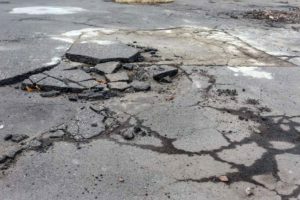 Question: What is the average cost to pave a driveway or lot? Answer: Unfortunately, there isn’t a typical cost because every situation is a little different due to many factors. However, we will visit your property (at no cost) and give you an accurate quote right on the spot that we will stick to. By doing this, we can give you the best price without “padding” the quote or tacking on extra costs in order to cover unknowns. Question: How long does it take to replace a driveway? Answer: Depending on the size, the work usually takes a day or two. The start date is driven by weather, our workload and local permitting (which we manage). Given this, depending on the town, it can be up to a few weeks once you give the go-ahead. We will schedule a date with you and keep you informed as the date approaches. We will never require you to wait until we have a batch of driveways in your area to do.